How do we provide you with great experience? See how we do things at Chemnovatic. From pure nicotine to ready to sell e-liquids. See what we have to offer. Are you new to the e-liquids market? We can help you develop your business and move to the next levels. We wish to share our knowledge with you. See what's new! We have launched a B2B platform to simplify and speed up the process of ordering and delivery. Sign up or sign in! 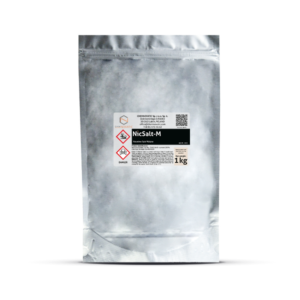 Chemnovatic is a professional nicotine manufacturer and supplier based in Poland. We specialize in pure nicotine processing and nicotine bases manufacturing but we also supply top quality raw materials for e-liquid producers worldwide. We dedicate our offer to business customers. Chemnovatic’s pride and a flagship product is PureNic 99+ pure nicotine liquid, which received global recognition. Our goal is to provide customers with great experience by maintaining high quality of products and services, which we became known for over the years. Chemnovatic is also developing projects with alternative types of nicotine, such as nicotine salts or so called TFN (tobacco free nicotine). Chemnovatic wants to be a one stop shop for all e-liquid manufacturers. Our offer goes beyond pure nicotine and nicotine salts. Do you also need Propylene Glycol (PG) or pure Vegetable Glycerin (VG)? Ready nicotine bases? You may choose from one of our many standard PG/VG ratios or we can make custom nicotine bases especially for you. Choose required nicotine strength and any ratio you may wish. Let’s make your success our common goal! I received my first order recently from chemnovatic and was utterly shocked. When I opened up the kilo of pure nicotine it was as clear as water. After further testing it has shown itself to be the purest nicotine in my 5 years of buying and using nicotines. I’m sold! !